In an article published at the Department of Agriculture’s website, it said that medical researchers from the Harvard School of Public Health revealed that those who eat three to four servings of rice a day had 55 percent higher risk to develop diabetes than those who ate one to two servings a week. “Eating too much rice is also associated with rheumatoid arthritis, celiac disease (condition that damages the lining of the small intestines and prevents it from absorbing parts of food), auto-immune disease, poorer dental health, stroke, and coronary artery disease,” it said in the article. It’s a known fact that Filipinos love to eat rice. It is our staple food. Some Pinoys eat it three times a day – for breakfast, lunch, and dinner, even more. Rice has become not just food for many Filipinos, but a culture and way of life. And this one of the reasons why rice distributors in the Philippines has looked for healthier rice varieties, locally grown in our country. In 2009, Mary Hensley, one of the founders of the Eight Wonder, Inc., and the Cordillera Heirloom Rice Project (www.heirloomrice.com) recalled how her heart was broken after reading about the collapse of the terraces in the country. A former Peace Corps volunteer, Mary fell under the spell of the Rice Terraces more than 30 years in 1976. She returned after nearly three decades and was heartbroken to see how much has changed in the terraces and indigenous culture. “What was a very strong and vibrant culture was going to disappear,” Mary was quoted saying. The terraces of the Cordilleras are a cultural heritage, built by decades of hardworking hands. Over time, however, lack of support and exposure has been major obstacles for the farming communities in this massive mountain range. This is where heirloom rice is being grown – in a small area within the Rice Terraces. 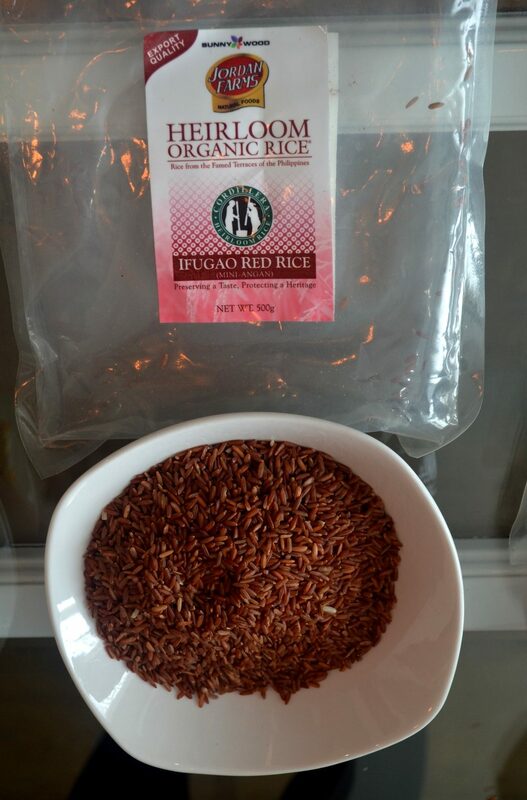 Sunnywood Superfoods Corporation saw an opportunity to help the farming communities in Cordillera region by forging a partnership with the Cordillera Heirloom Rice Project to promote organically grown, unpolished rice. “Unpolished rice is rice that has only its husk (ipa) removed. The bran, or the outer skin of the rice which gives it its color (brown, red or black depending on the varieties), remains generally intact. Polished rice, or white rice, is rice fully milled thru. The bran has been polished off exposing the inner core,” said Sunnywood. Nutritionally speaking, according to Sunnywood, polished rice is superior to white or polished rice. The bran is where all the good stuff is. You get a good portion of fiber, multivitamin B’s, essential oils, etc. On the other hand, polished rice or white rice provides you an ample portion of carbohydrates which an active lifestyle would need for energy. “Heirloom rice is a niche market. It’s very special because it is being given as gifts. It takes seven months to cultivate it and it’s available only for six months or once a year. There’s even a ritual conducted throughout the rice growing cycle to help ensure a bountiful harvest. They believe it’s a gift from God,” said Valerie Ong Tangsoc, marketing and promotions head of Sunnywood. According to Sunnywood, rice varieties from the project are all cultivated using the traditional way of farming passed down through generations. 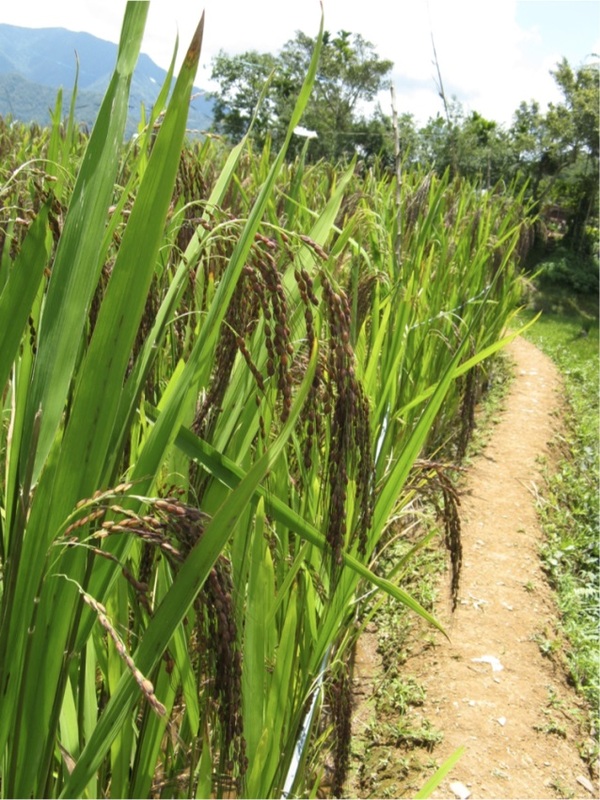 The rice stalks, which are taller than the lowland varieties are all grown organically and handpicked individually during harvest. Once they are sent to distributors, they are assessed critically before the packaging to ensure their quality. 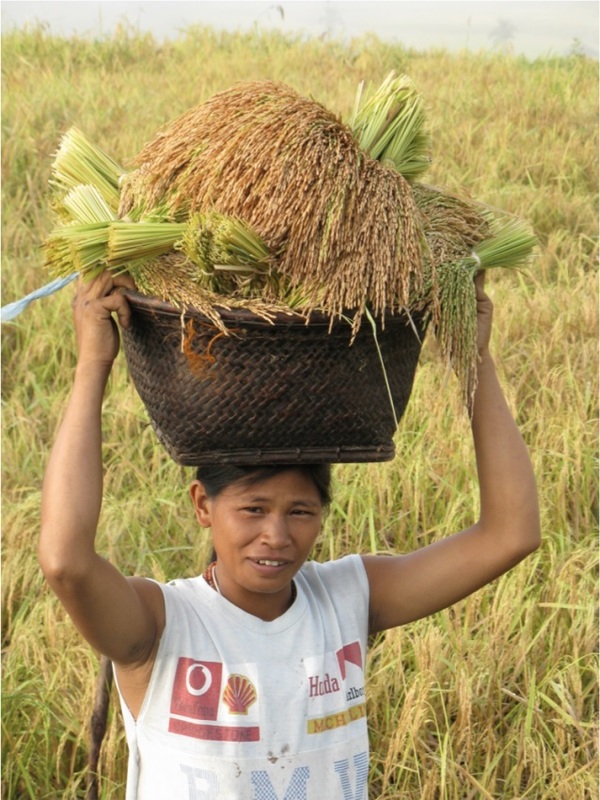 According to heirloomrice.com, there are over 300 varieties of rice presently grown in the Philippine Cordillera. Traditional varieties in the Cordillera belong to both the Javanica and the Indica subspecies. Varieties belonging to Javanica are found only in the rice terraces of the Philippines and the mountainous areas of Madagascar and Indonesia. Traditional varieties have a broad genetic base, as they are products of the continuous selection and breeding by famers over the centuries. These farmers have expressed an overwhelming preference for the traditional varieties because they are more resistant to pests and disease, have low fertilizer requirements and have been adapted for low temperatures and ease in harvesting and storing. They are preferred eating varieties of the Cordilleras because of their exceptional taste and texture, mild aroma, and fast cooking qualities. To feature Heirloom rice varieties, Sunnywood invited Chef Rolando Laudico, one of the most recognizable names in the local culinary scene, to try it with different Cordilleran-inspired recipes. “It’s [heirloom rice] been there hundred thousand of years. It’s the original rice. Not genetically enhanced, modified, or produced. It’s only now that’s it’s available to the general public,” says Chef Lau. 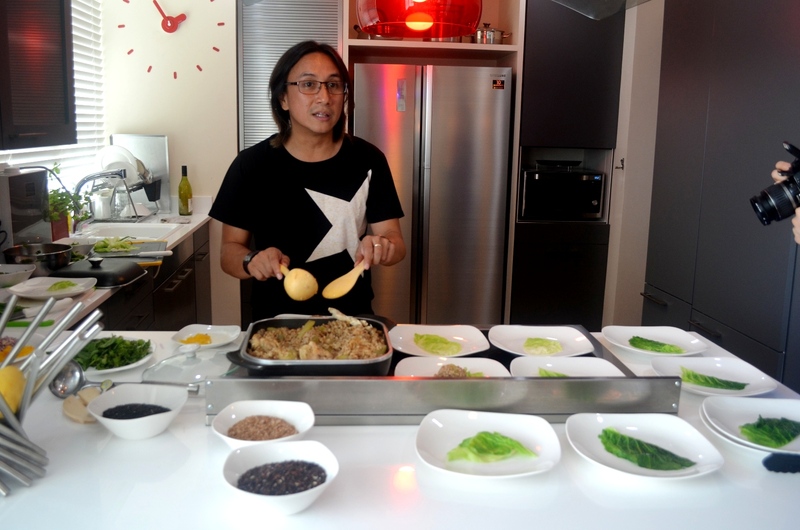 Chef Lau, who graduated dean’s list in the prestigious Culinary Institute of America in the late 90s, has worked in many local fine dining restaurants as well as restaurants in France, Australia, and New York. He’s always on the lookout for new products, especially good and local ones. “Eventually people will realize that these are not just rice, but healthy rice,” says Chef Lau who featured Ifugao Diket Rice Pudding, Red Rice Orange Salad, Purple Rice Cream, and Pinikpikan Chicken Rice during the food tasting. Valeria said that by buying the heirloom rice for higher price margins, the project helped barangays in the Cordilleras able to build a daycare center, purchase a generator, and a community jeepney. The pan-Cordilleran Rice Terraces Farmers’ Cooperative has so far consolidated a volume of 142 metric tons of native rice for commercial sales which total PhP 8,634,670 in direct payment to farmers. To know more about Sunnywood, visit their website at www.sunnywoodrice.com.